Samsung Galaxy Grand Neo, a mid range phone in Samsung Galaxy Grand series is now available in India priced around 18,000 INR. The 5 inch display smartphone eliminates some of the shortcomings of Galaxy Grand, but can be considered a replacement for the predecessor. Let’s take a look at the hardware. Camera has actually been dropped down from 8 MP in Galaxy grand to 5 MP in Galaxy Grand Neo. The camera is capable of 720p HD recording at 30 fps. A front VGA camera is also present for video calling. It would be wise not to expect much from the imaging hardware. If you are looking for a camera specific device in this price range, something like Oppo Find 5 Mini should work out better for you. The Internal storage is 8 GB and can be further extended to 32 GB using microSD support. The storage option will suit the needs of most users. Samsung will also launch a 16 GB internal storage variant in India. The chipset used is Broadcomm BCM23550, the same one we saw in Xolo Q1000 Opus. The chipset comes with 4 CPU cores clocked at 1.2 GHz. The Cortex A7 based chipset has been designed for budget Android markets. RAM capacity is 1 GB. The chipset was slightly sluggish in Xolo Q1000 Opus and we will have to review the unit to comment on the performance in Grand Neo. Battery capacity is 2100 mAh and will provide with 430 hours of standby time and 11 hours of talk time. The battery back-up is decent enough according to the price range and is expected to last one day with moderate usage. The display is 5.1 inches in size and features WVGA 480 X 800 Pixel resolution, which is slightly disappointing. Your texts will be soft. If you are looking for a crisp 5 inch display, there are numerable options to choose from among domestic manufacturers. The display panel is not IPS LCD, which implies average viewing angles and sharpness. The phone runs on Android 4.2 jelly bean operating system. Samsung has added several software features like Multi Windows and Pop up Play. The phone supports Dual SIM connectivity and connectivity features include 3G HSPA, Bluetooth, WiFi, GPS and GLONASS. The phone will compete against 5 inch or larger display phones like, Micromax Canvas Magnus, Xolo Q1100, Moto G, Micromax Canvas Turbo and Intex Aqua Octa, lying in the same price bracket. The hardware is not that impressive, at least on paper. Compared to Galaxy Grand, the phone comes with 2 extra CPU cores , which doesn’t justify the price tag. 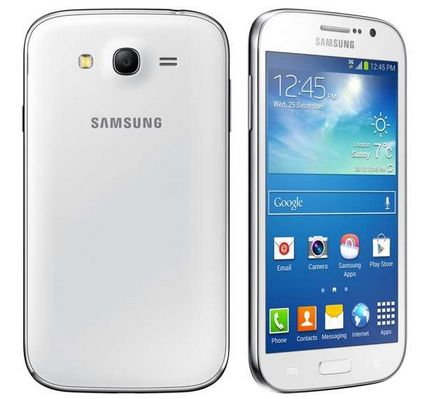 Samsung Galaxy Grand 2 for Rs. 3000 more will be a much better option with a sharper display, better imaging hardware and better chipset.